Many of us are used to having to do the weekly shop. Some are prepared with their shopping list, others (like me) tend to walk in and see what takes our fancy. Supermarkets love my type of shopper … offering all sorts of specials, bundles, eye line height promotions encouraging me to buy more. As I walk through with my trolley, I’ll pick some of this, but I don’t like that! In fact, I’ve never been a fan of peanut butter, but do enjoy a good marmalade. As Hillslife Church has explored what it is to be a Christian we talked about shopping trolley Christianity. Those believers who accept some parts of the bible, but happily ignore others. Bit like my aversion to peanut butter, there are some teachings that just don’t sit as well as others. As if we are planning a meal, we are happy to take this list of ingredients, but don’t want anything that could sour our recipe. Does Jesus really teach we should go to church? Or that we should tithe? That we should pray? Spend time meditating on the word? Did Jesus make the Old Testament teaching irrelevant? Or did He amplify it? The point is Christianity is not a shopping list, or a menu where we get to pick and choose our preferred flavours. There are clear guidelines, responsibilities and expectations laid out … and yet most Christians have never read the entire bible. Little like the shoppers who walk in and wander around and can be swayed in our purchasing behaviours … there is a danger to not knowing the whole story. Imagine watching just the middle 45 minutes of a movie – not knowing the start or the finish. Doesn’t make sense does it. The encouragement this month is to make sure you don’t fall into shopping trolley Christianity. Take up the challenge and read the whole bible … sure some bits are less exciting than others, but God can reveal new understanding across all Scripture. Just a few decades ago if asked the question “is there a God?” the resounding answer would have been yes. Whether you actively attended church or worshiped God was a different matter – but few would question whether God existed. Now, there seems an ever growing number of those falling into the unsure category or, even more prevalent, the definitive “no”. As we have kicked off a new year it got me thinking … what have we as a church done wrong to escalate this outcome? After all, there is historical evidence of Jesus. Beyond the early writings that now form the New Testament, the incredible accounts of the apostles, and the rapid explosion of the church throughout the known world … there are also non-Christian writers as well. This includes a Jewish historian, Flavius Josephus who wrote a history of Judaism around 93CE. He acknowledged Jesus lived and even that he was referred to as Christ. Also had a brother, James, who is credited as written the book of James now in the New Testament. Jesus’ death by crucifixion is affirmed by Roman politicians, Pliny and Tacitus – neither of who were supporters of Christianity. So Jesus’ existence seems without question – he lived! Whether he died and rose again may be up for conjecture however few scholars would argue that Jesus walked the earth. Yet, who wants to dig deep to find this out nowadays? The issue is though … the question IS THERE A GOD? should be something everyone deeply considers. For if there is and Jesus is who He says He is then there are eternal consequences for disinterest. If I were to warn you that the brakes in your car didn’t work would you check before you drove it? Or if I were to say that there was a brown snake in the entrance to your house – would you walk in tentatively – looking? Or if I were to tell you that what you were about to eat was laced with arsenic, would you reconsider eating it? Well I’m hoping … if you are reading this … to tell you that I believe there are significant risks in not at least exploring deeply, to really challenging yourself on whether or not there is a God. In Luke 16:19-31 is a story that Jesus shared about a rich man and a beggar. Upon death the rich man is in torment but sees the beggar comforted and so asks to please warn his family so that they too don’t come to the place where the rich man finds himself. But receives the reply that his family have every opportunity to hear the outcome – if only they would pursue it. Jeremiah 29:13 says if you seek me you will find me. 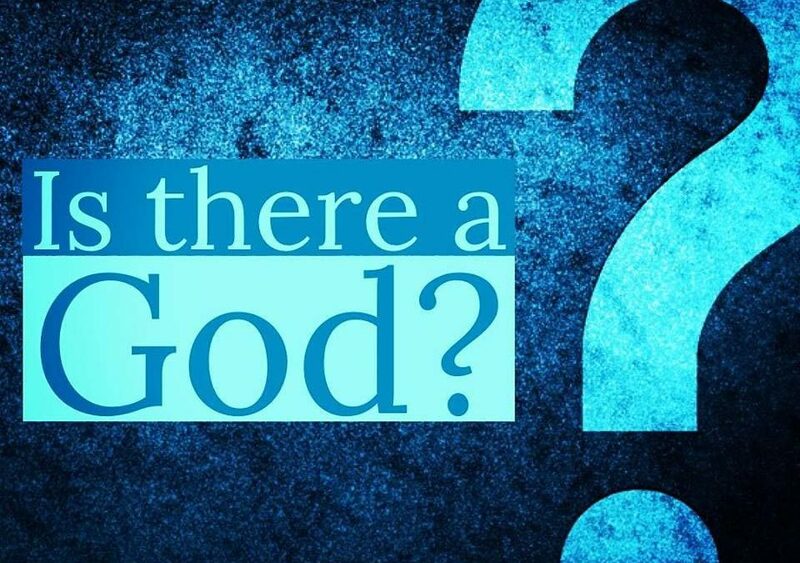 So as we launch into 2019 could I encourage you to genuinely ask your self the question “is there a God”? Explore it, dig into it, make an educated decision as your answer could truly impact your eternal existence.